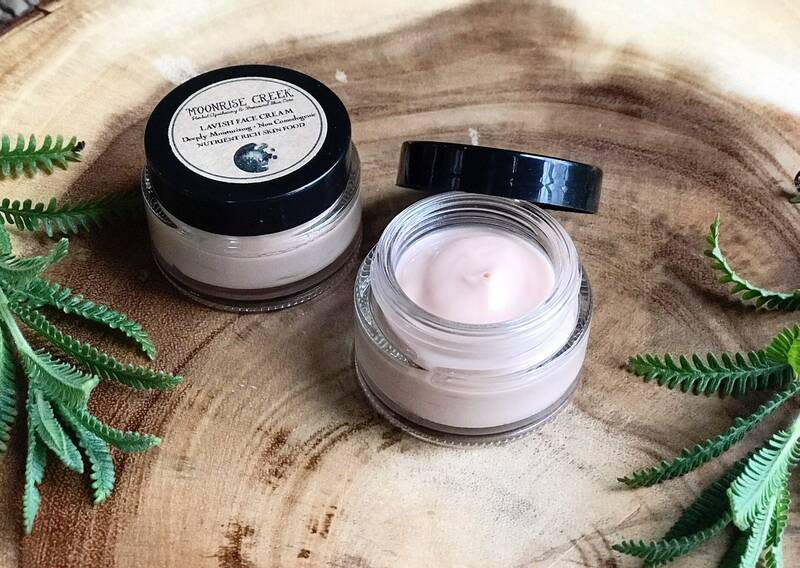 This lavish cream is truly botanical skin food for your face, neck & chest. Light to the touch, and deeply moisturizing, bringing vitality back where it is needed. Jam packed with all non comedogenic oils, that are excellent for acne prone skin. This cream can be used both day and night, and smells absolutely divine. 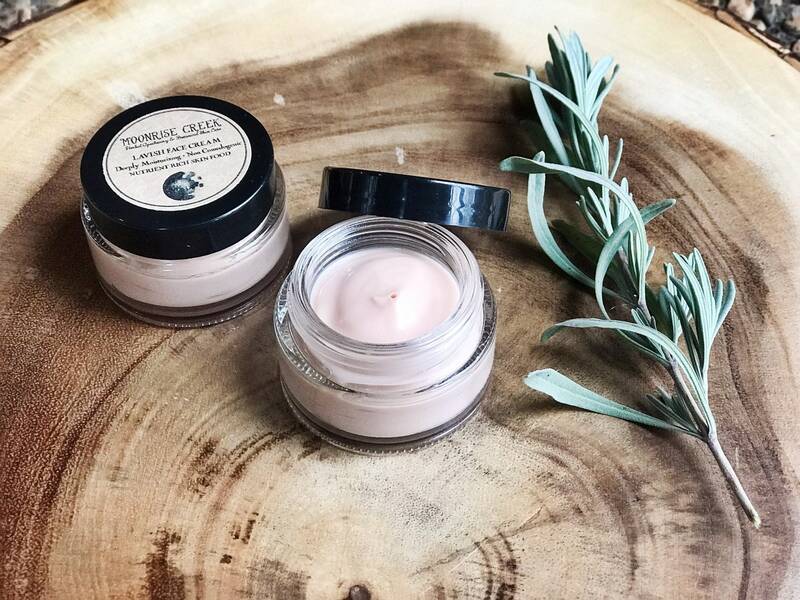 If you're looking for a cream that will bring the life back to your skin without harsh chemicals, this is what you are looking for. 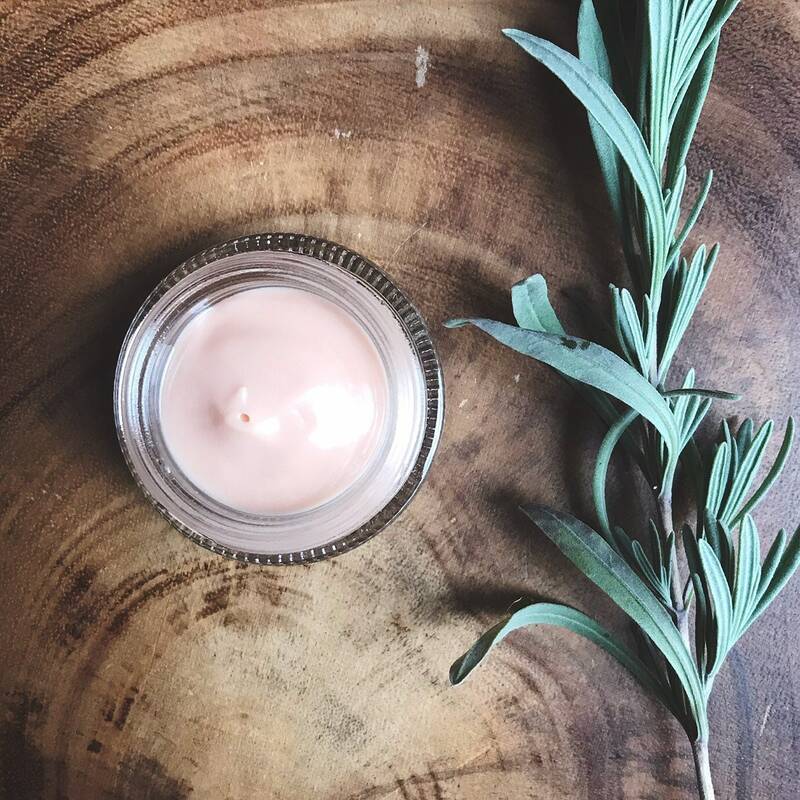 This face cream is a quickly absorbing, wonderful hydrator, which penetrates dry or damaged skin immediately, working wonders on scars, and containing some of the most predominant oils used for treating wrinkles and premature aging. Containing high levels of essential fatty acids, antioxidants, vitamins and minerals, this cream is readily absorbed into the skin, providing tissues the essential elements that they needs. *Sample is 1/4 oz plastic jar. *Please Reuse or Recycle all of our packaging & containers. Disclaimer ••• Since our products are 100% from the earth, without any toxic/chemical stabilizers or preservatives, our creams may separate or crystalize due to temperature fluctuations. The products are still perfectly okay for use. To extend the life of your cream, keep in a cool dark place, or in your refrigerator, and always use clean hands for application.